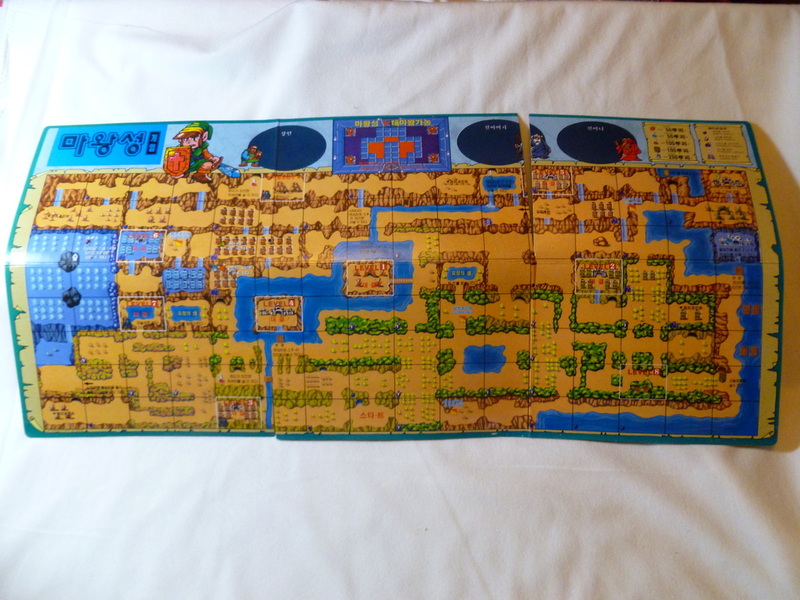 Other Info: Little is known about this peculiar Zelda item. 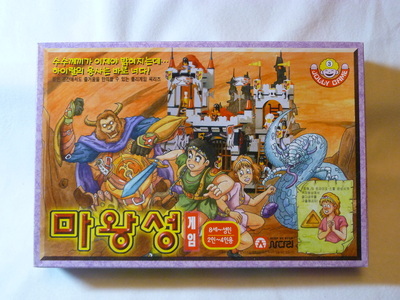 The game cover features artwork that is mildly suggestive of the Zelda series and it shows what appears to be some medieval-themed Lego castle in the background. 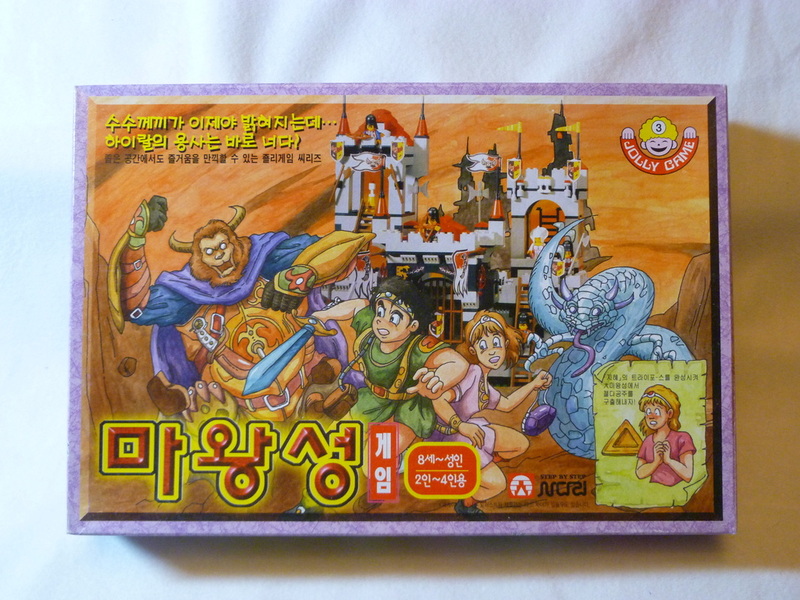 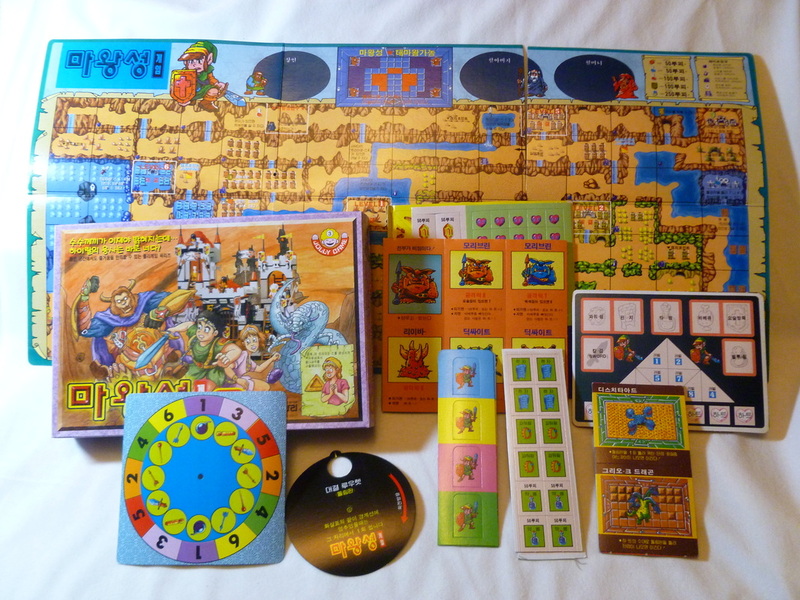 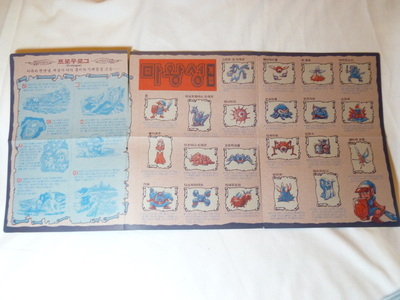 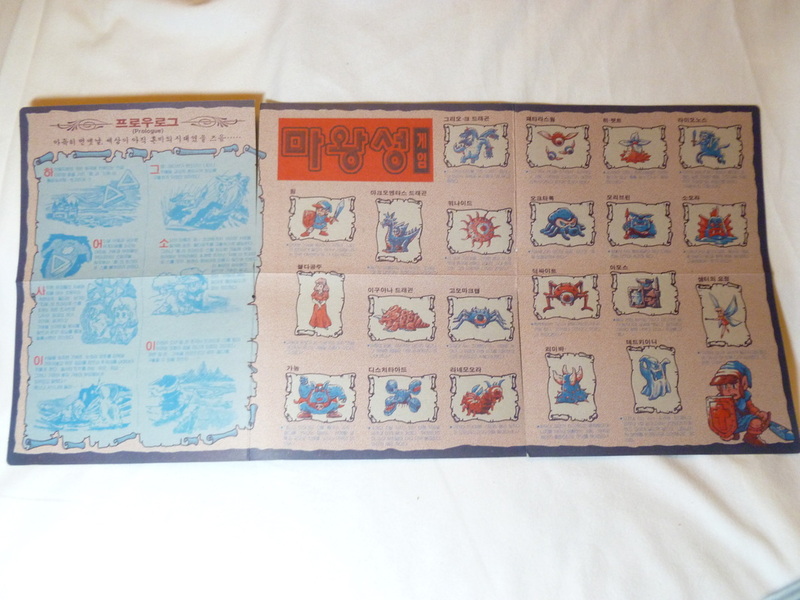 It is possible that this game is a mix-boxing of a Japanese Zelda board game, Hyrule Fantasy Board Game from Ban Dai (1986.) 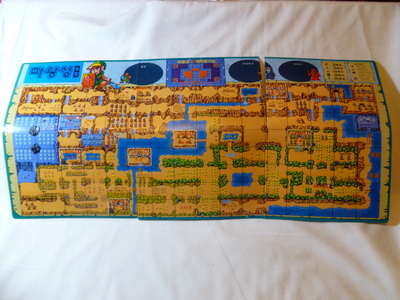 The game pieces are more likely actual Zelda related, and are close to identical to the Hyrule Fantasy Board Game's game board and pieces. 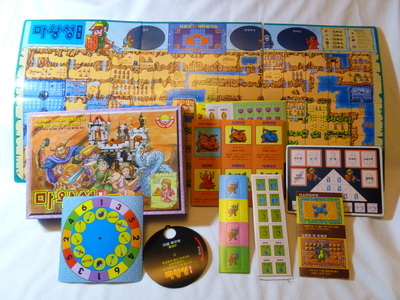 Some slight differences include a spinner wheel (that features items and numbers - probably for board movement spaces) and cardboard Link player pieces.